What a great story! Narrator was spectacular. Loved it! 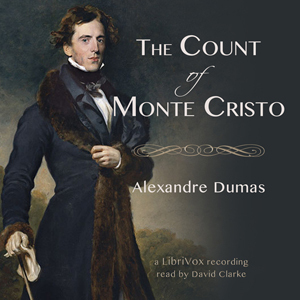 Dumas' classic tale of revenge & retribution has spawned many adaptations, so the unabridged original is great to go back to. This narration is as good as any I have heard of any book. I lost count of the voices he employed; it may be as many as 30, all of which fit the character portrayed like a glove. In other words, this is a professional-grade rendition and so a great treat. I can say this with confidence as I previously read the unabridged version, and viewed the movie adaptations with Richard Chamberlain from 1977 and more recently, Jim Cavizel. Both highly recommended. Wow, just brilliant. The book was amazing as was the narrator. His accents were spot on. Although it was nearly 60 hours long I would definitely listen to it again. It’s a long listen but a worthwhile and engaging story. There was one narrator and he was very good. I would recommend this audiobook. so very very long, thankfully the narration was great. My favorite book of all. I have read it abridged and in 4 different unabridged versions. I love them all. A very good narration of a classic book. The fake french accent needed some getting used to, but once I got over it it became to feel appropriate.